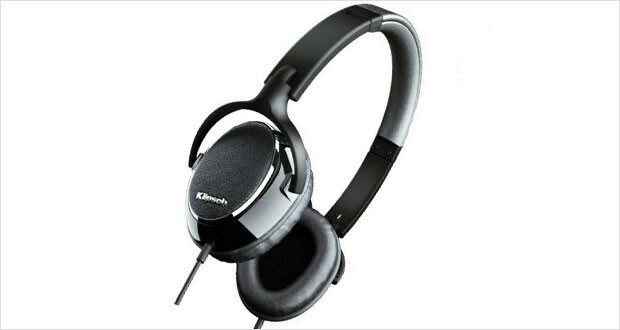 Klipsch’s headphones are not known to be in the list of best over ear headphones; yet here we are with one. To be fair, the well-known in-ear headphone maker is trying to diversify its portfolio of products and it is just arrived at a pretty good pair of closed back supra-aural headphones in the Klipsch Image ONE headphones. Sure these are not the best noise cancelling headphones around (more passive than active noise cancelling, to be precise), these are certainly one of the more classy looking pair of headphones. The design is certainly one of the more subdued-yet-classy ones in the headphone world, and with sturdy build and a two year warranty we are not worried about it breaking down in the middle of a song. The Image ONEs, among other things, have also inherited the exceptional sound clarity of their in-ear brethren and you get to become one with the artists in your ear. 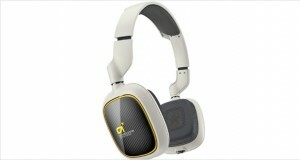 With a competitive price, great frills and only minor annoyances, these are quite a pair of headphones to have. The lightweight Image ONEs feature quality materials – leather clad earcups, chrome accents, glossy trims and the general polish of a very high-end device. The earcups are also enveloped by memory foam that molds itself to the earcup shape and size to provide an excellent acoustic seal. 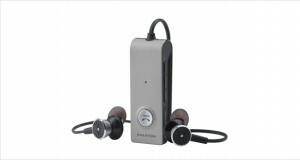 The earcups also fold flat for easy storage and the included carrying case is excellent for this use. Dimensions2 x 5 x 7"
The materials used in making the Klipsch Image ONE are quite solid and look like they can handle a little bit of rough usage. The operative phrase here is “little bit”; do not expect to take this around on a safari (why would you?) and expect it to work flawlessly. The cable connectors are very securely placed with heavy duty stress relievers to ensure that it keeps working through a lot of strain. The earcup pressure is a little on the higher side and even the plush memory foam does not alleviate this pressure and thus it is a little tough to keep wearing these for too long. The treble is quite clear and not too shrill on the ears. While the closed-back design does not allow the headphones to reach their potential soundstage depth, the mids are still well balanced and sound sweet in the ears. Thumping bass and deep roaring woofs are the signature of these unassuming pair of headphones. 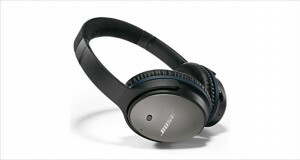 While it does not have an active noise cancelling component, these headphones are quite capable of reducing ambient noise passively, thanks to the memory foam acoustic seal. For the price, these are an exceptionally well performing pair of headphones. One of the most important features of the Klipsch Image ONE headphones is that it connects to your Apple iPod in an exceptionally flawless way. If you use your iPhone – even better, because you can talk, listen to music and change tracks without ever taking out your device. Couple this with great audio clarity, durable and classy chic looks and that really tempting price tag and you have a winner for your portable needs. While we like the in-ear monitors more, different strokes for different folks!